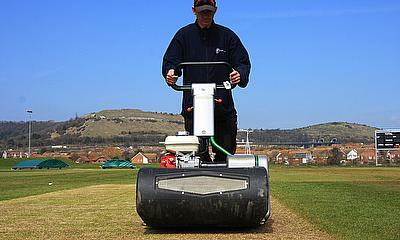 Dennis and SISIS cricket turf maintenance equipment are playing a leading role in Folkestone Cricket Club's plans to host county cricket for the first time since 1991. The club has a long and rich history and up until 1991 was one of Kent's favoured outgrounds but the county's top cricketers have not visited for more than 20 years. Now though, with the help of Dennis and SISIS turf maintenance equipment, new groundsman Josh Bryen hopes to bring the ground back on to the outground roster. In 2011, responsibility for upkeep and development of the ground was taken over by the Cheriton Road Sportsground Trust and with financial backing from Roger de Haan, the Three Hills Sports Park has had facilities upgraded significantly, a brand new cricket pavilion built, Bryen has been brought on board as groundsman and crucially, new equipment was purchased. The results are already looking good. Bryen has been taking advice from members of the Kent Cricket Board Groundsman's Association and Kent Second XI Twenty20 matches will take place at the ground. When it came to equipment choice, Bryen was given his budget and after being impressed by Dennis and SISIS' range of cricket pitch, wicket and outfield maintenance equipment at a seminar in Essex and then a demonstration at his ground, he made the decision to go with them. For his cricket mower, he opted for the Dennis Razor Ultra for a sharp, even cut from its 11-bladed cylinder while three tractor-mounted SISIS machines complete his requirements. 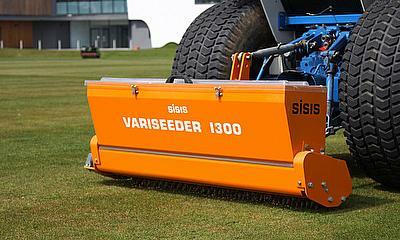 The SISIS TM Rotorake is used for aeration and scarification, the SISIS Powaspred for for top-dressing and the SISIS Variseeder 1300 for seeding. 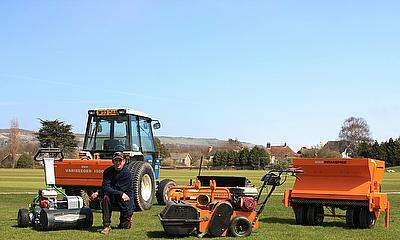 "Buying all my cricket pitch maintenance equipment from a single source made good sense," Bryen says.